Tummy Tuck patient underwent a Mommy Makeover procedure. 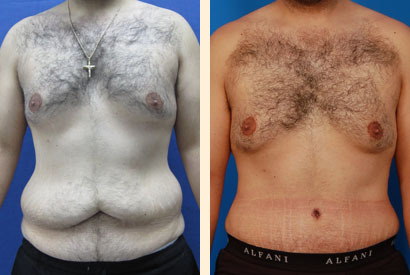 Abdominoplasty, vertical breast lift and implant placement. 330 cc Moderate Profile Saline Breast Implants. After photos taken one month after surgery.